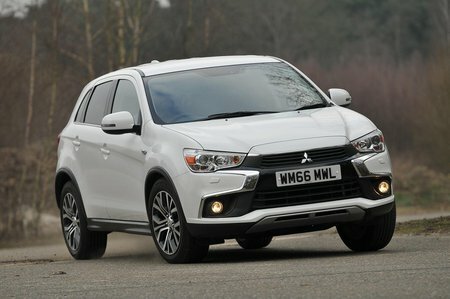 Used Mitsubishi ASX Review - 2010-present | What Car? What's the used Mitsubishi ASX estate like? Mitsubishi is an incredibly diverse company. Not only do they make everything from air conditioning units, concrete, buses, trucks, paper, aircraft and so on, but they also make a few cars. The Shogun was a popular SUV choice during the 1990s but it fell out of favour due to its large size and associated running costs. So Mitsubishi, being the company that it is, diversified and built a smaller version to compete in the growing small SUV market, the Mitsubishi ASX. Like its larger brethren, the ASX can still be had with four-wheel drive on some diesel models to help provide it with additional traction in slippery conditions. However, unlike the Shogun and Shogun Sport, the ASX much smaller in size to make it easier to drive and park in town, and goes up against rivals such as the Suzuki Vitara, Nissan Qashqai and Seat Ateca. Powering the ASX is a choice of one 115bhp 1.6-litre petrol and three diesel engines: a 114bhp or 147bhp 1.8-litre, a 148bhp 2.2-litre with four-wheel drive and an automatic gearbox, or a 112bhp 1.6-litre that replaced the 1.8. 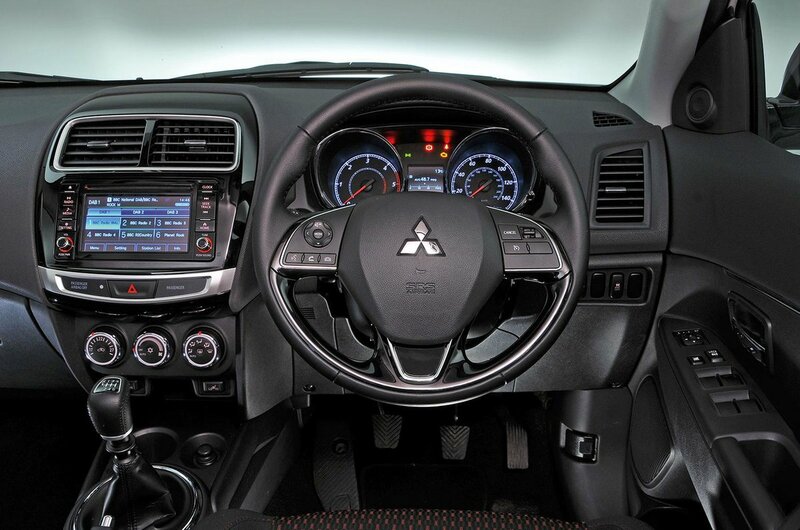 Petrol models come with a five-speed manual while the diesels get either a six-speed manual or six-speed auto. The base model 2 comes with air conditioning, Bluetooth audio and 16in alloy wheels, but 3 models have a much higher level of standard equipment with climate control, rear parking sensors, cruise control and automatic lights and wipers. 4 adds leather and sat nav while the top-of-the-range 5 has electric front seat adjustment. It’s when you get into the ASX that things start to disappoint. It can seat five, but rear seat legroom can be tight for taller people and the boot certainly isn’t the most accommodating in the class. The seats almost fold flat, though, which does help when you need to load longer items into the car. Space up front is fine and you have a good view out thanks to its high seating position. Visibility is also helped by relatively thin pillars and big door mirrors. You’re better off adopting a relaxed driving style with the ASX because it isn’t the sort of car for those who crave driving thrills. If that’s the case, buy a Seat Ateca. The steering in the ASX is quite slow and requires more input than you might initially expect; it is light for parking, though. The gear change can be notchy and has a long travel to it, while the ride is generally soft and is only caught out by the worst potholes. Trouble is, the ASX might be small for an SUV, but it feels like a big SUV to drive thanks to pronounced body roll, vague steering and a tendency to wash wide in corners at speeds where more modern rivals would have no trouble retaining their composure. The ASX also suffers from lots of tyre noise and some rather unrefined engines.